Warsaw (AFP) - The head of Poland's ruling right-wing party insisted Sunday it would not bow to EU pressure after Brussels launched an unprecedented probe into judicial reforms that have stoked concerns about the state of democracy in the country. The comments by Jaroslaw Kaczynski, leader of the eurosceptic Law and Justice party (PiS), came on the eve of a visit to Brussels by President Andrzej Duda where the dispute is likely to be discussed. 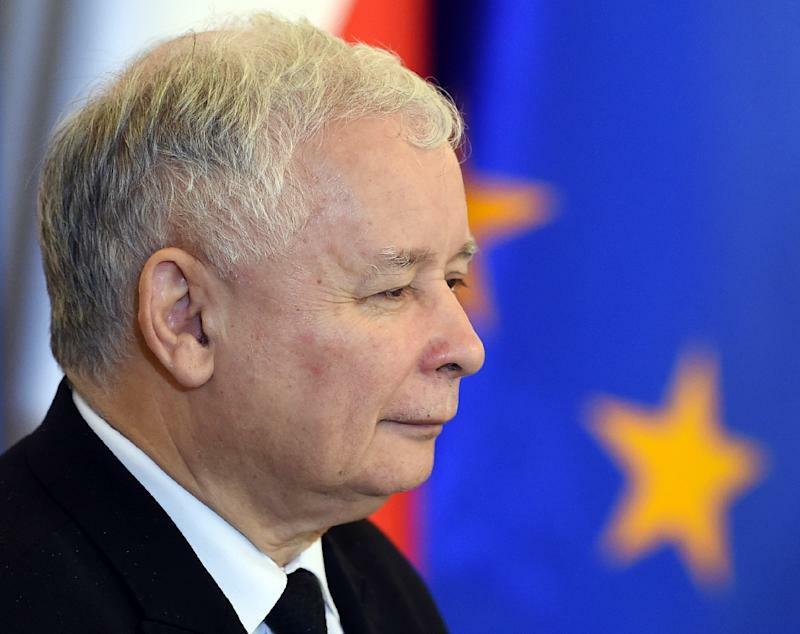 "We should not concern ourselves with this, we must continue on our path and not give in to any (EU) pressure," Kaczynski said in an interview with conservative newspaper Rzeczpospolita. The EU last Wednesday announced it was investigating whether new legislation governing the Constitutional Court violated the bloc's democracy rules and merited punitive measures. There is also growing concern about increased control over Poland's state media under the PiS, which swept to power in October. But Kaczynski, a former prime minister who currently has no formal government role, scoffed at the EU's worries. "To say that democracy is in danger in Poland is quite ridiculous," he said in remarks published on the newspaper's website. "No-one should have any illusions that we will bend or make any concessions." The European Parliament will be debating the crisis in Poland at a session on Tuesday, after the reforms came under fire from its president Martin Schulz. Schulz has compared the political situation there to a "coup", drawing the anger of Polish leaders who demanded an apology. Kaczynski said any EU vote on sanctions would not win unanimous approval, after a key ally, Hungarian Prime Minister Viktor Orban, vowed to block them. Duda will meet EU President Donald Tusk on Monday in Brussels, where he is also due to hold talks with NATO chief Jens Stoltenberg ahead of a summit of the Western military alliance in July in Warsaw.